The last time I had visited Rishikesh was in 2004. That time it was again to white water raft the Ganges, having first been there the year before. With catchy names of numerous rapids like the Golf Course, Three Blind Mice, Roller Coaster, Club House, and The Wall, white water rafting in Rishikesh was inviting, was full of adrenalin, and left you longing for more, as you returned to a boring city life. 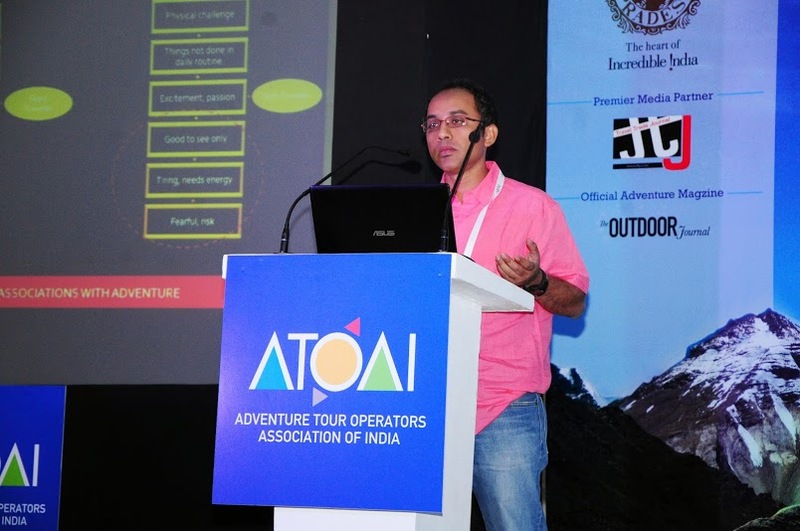 I had rafted with Outdoor Adventures India, managed by Ajay Maira and Pavane Mann. OAI was one of the few professionally managed rafting outfitters in Rishikesh, then. Ten years later, on March 24th 2014, I returned to Rishikesh. This time to attend the ATOAI Convention at Shivpuri. 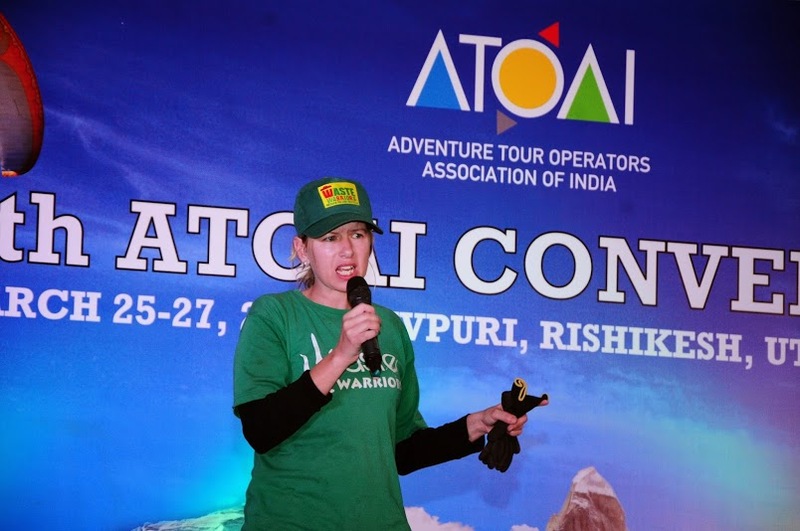 ATOAI (Adventure Tour Operators Association of India), had for the first time decided to take their annual convention outdoors, by the banks of the Ganges. It was very apt for an outdoor convention to be held at. As I drove past the multiple bends and sand banks of the river, I could see rafting camps had sprouted by the dozen. Not one bank had been left vacant. It seemed to be a mess. Rafting in Rishikesh had transformed. From a time when professionals and their companies pioneered rafting in the region, with first runs on multiple rivers, provision of trained guides & quality equipment and services by them, and select clientele who would repeat purchase the product, the region had witnessed an uncontrolled growth of companies with permissions and licenses being doled out rather easily by the state government. ‘Anyone’ who wanted to set up a rafting camp and company, could apply. The ‘owner-guide’ working relationship wasn’t as smooth as it was earlier, with guides now forming their own rafting companies, local equipment companies manufacturing rafts and making them ‘look’ international, an influx of the ‘domestic tourist’ who now wanted to get a taste of rafting without undergoing any ‘hardships’. This largely meant the eco-friendly toilets which were the standard norm prescribed by the professional rafting companies for all clients, had quite alarmingly been replaced by flush toilets by the new rafting set-ups. This was to cater to the requirement of the new ‘breed’ of domestic tourists. I was appalled to know, that human waste was being drained into the Ganges, into the river one would eventually raft on. How and why had this pristine adventure destination taken such a beating? Rishikesh had lost its charm. 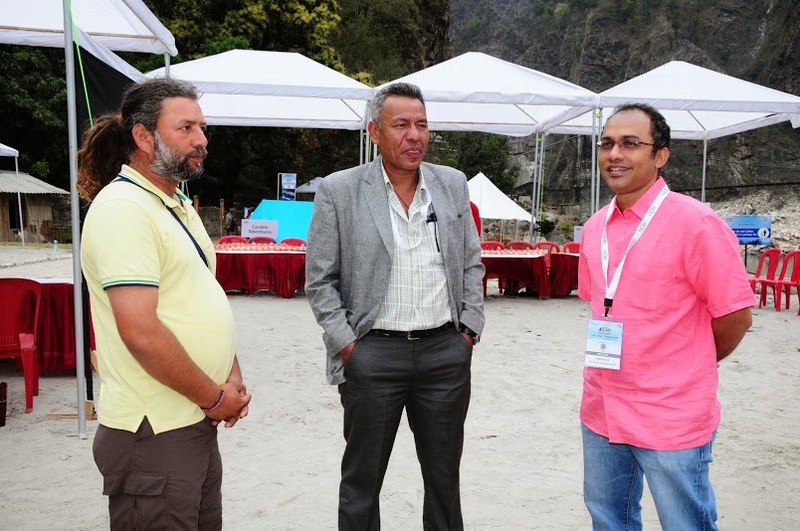 Among many areas of concern (like the above) which had to be tabeled and discussed with the state government at the convention, ATOAI’s primary purpose of selecting Rishikesh as the venue, was to announce that Uttarakhand was back on its feet. The natural disaster which had engulfed the state in 2013 was behind it and adventure enthusiasts were most welcome to gather once again in the abode of the gods. This was a significant statement to make and it was a decisive move by the association. The convention over two days was insightful and well worth the time spent. 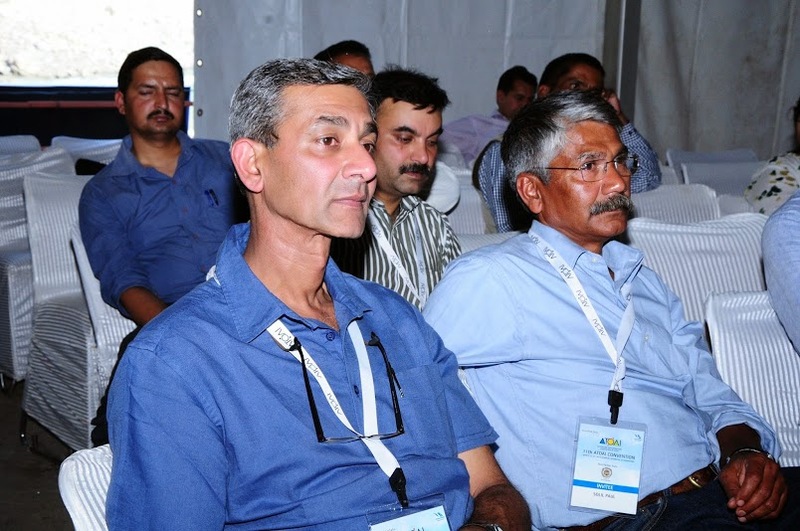 I was fortunate to have met veterans of the Indian adventure industry and to have exchanged views besides speaking too. 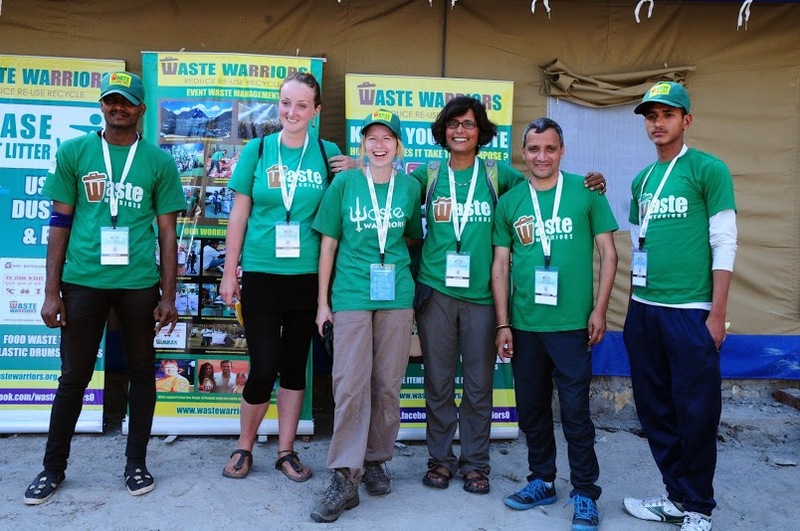 One of the standout speeches at the convention was that of Jodie Underhill – Co-founder and CEO of the Waste Warriors (www.wastewarriors.org). She was all heart and fiery passion about what she did. It was good to meet her in person later that evening. ” Our founder Jodie Underhill came to India in December 2008, travelled around India as a tourist and then volunteered at the Tibetan Children’s Village in Dharamsala. The garbage situation was something that bothered her every single day. So in April 2009 she decided to do something about it. Jodie’s first mass clean up in McLeod Ganj, the home of HH the Dalai Lama was attended by over 100 people and it proved to her she wasn’t the only person who wanted a cleaner India. Soon after she formed a voluntary organisation Mountain Cleaners and started a weekly waste collection from Triund, a remote but garbage stricken mountain camp, a four hour hike from McLeod Ganj. Volunteers were recruited to segregate and sort the waste from the chai shops, guest houses and also to clean the hiking trail and clear the back log that had been thrown over the side of the mountain. Triund is now known as one of the cleanest hiking destinations in India”. Day 2 of the convention was another highlight. After the morning business session, we drove till Devprayag and then rafted for 2 hours to a secluded and remote bank of the river Beas. We were to camp here for the night. It was a stunning and an extraordinary setting, one which seemed more impressive as the night enveloped us. With the association’s organising committee welcoming us on the silver sands, to cultural dancers and their acts, the massive bonfire at night, a media and mentor connect for the participants, it was well planned and would have required fair amount of logistics and detailed planning. The night as it eventually turned out was a roaring success. We rafted 4 hours from Beas Ghat to Kaudiyala, the next morning and then onwards to the convention venue for the closing remarks. A few of us eventually took off from Dehradun’s Jolly Grant airport to go back and resume life at sea level. Rishikesh had been a superb experience from the ATOAI perspective and an eye-opener from the rafting one. My thoughts in the flight back home were mixed. It seemed to me a mix of education and expertise was much needed. Ajay Maira: It was great meeting you after 10 years. To know that you no longer run trips in Rishikesh, ‘coz of the ‘predators’, did take away a lot from the fantastic memories I have of OAI, of Rishikesh and of the rapids. However, here’s to an even brighter future for you and I know we’ll stay connected. This entry was posted in Events, Latest Journey and tagged ATOAI, Beas, Devprayag, Ganges, Kaudiyala, Rapids, Rishikesh, River Rafting, Shivpuri, Uttarakhand, Waste Warriors. Bookmark the permalink.